The Easter bunny hopped into our office and dropped off this adorable basket! 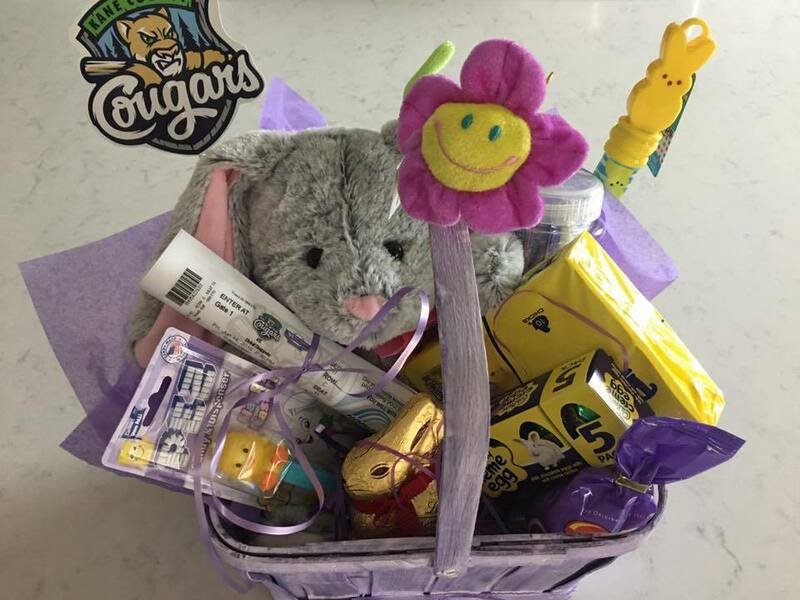 Full of yummy Easter candy, (hey, soft candy is ok as long as you brush afterward), a plush bunny, bubbles, a Wazio water bottle and 6 tickets to the Kane County Cougars game on Friday, June 14th at 6:30 pm! Drop by either office and simply enter for a chance to win! Random drawing on April 19th. The 2019 baseball season has officially begun! And your Kane County Cougars are starting their 29th year! Catch the action on June 14th! 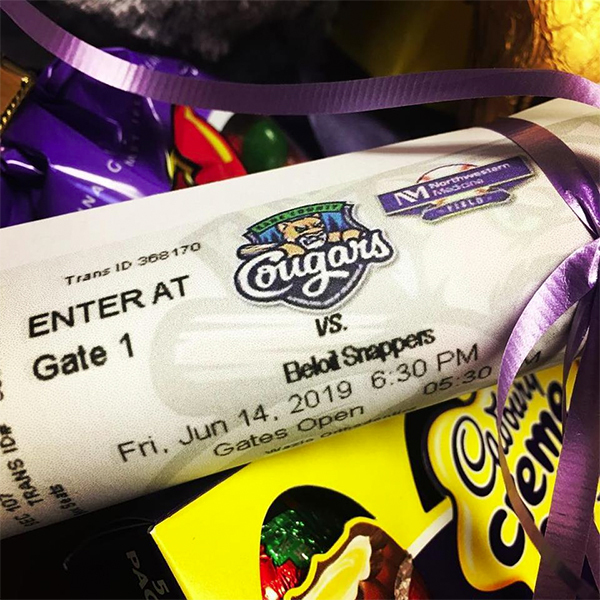 Enter to win 6 tickets to the game! Random drawing is on April 19th! Mother’s Day is one month away and we have Mom on our mind! Let us know how special your mom is by entering our Mother’s Day contest! Maybe you have a grandmother, an aunt, or someone dear who has been like a mother to you! In 50 words or less, express your love and appreciation! Complete the entry at your appointment or stop by during business hours. 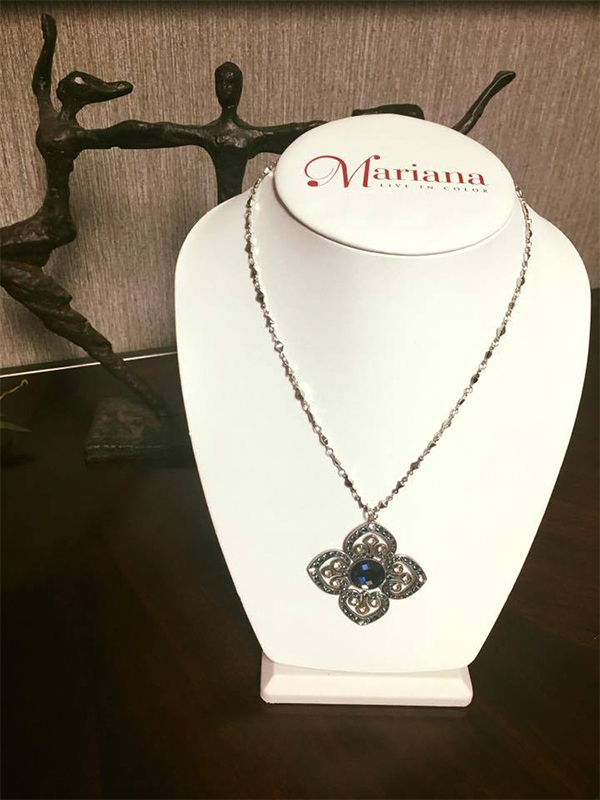 The winning Mom will receive this stunning Mariana necklace! Purchased at K.Hollis Jewelers in Batavia! We know all moms are special, so for us to choose would be simply impossible! Therefore, we will have a random drawing on May 9th! This contest is open to all patients 21 years of age or younger!! Brothers, Liam and Logan are the winners of our of most recent office contest! 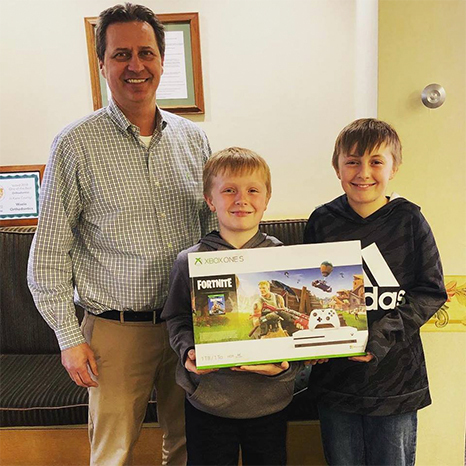 They stopped by our Batavia location to claim their prize, an Xbox FortNite bundle! Congratulations! And a huge thank you to everyone who participated and helped make the contest a success! 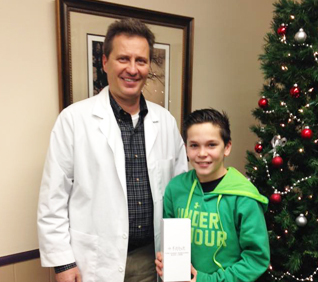 Congratulations Adam, one of the winners of our “Lucky You” contest! Here’s wishing you early retirement! 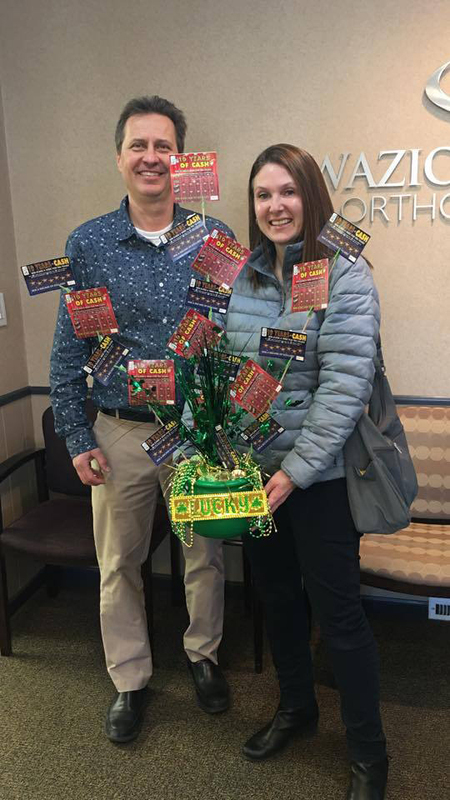 Congratulations Christine, one of the winners of our “Lucky You” contest! Here’s wishing you early retirement! Congratulations to Isabelle! 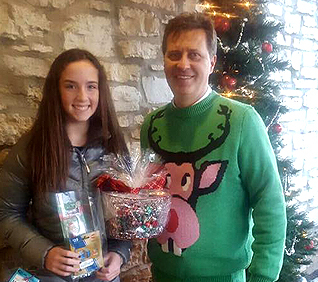 She’s the winner of the holiday contest in our St. Charles location! She received a set of Apple AirPods also! Thank you to all who participated! Stay tuned for more awesome contests! Happy New Year, Isabelle! Congratulations to Thor! 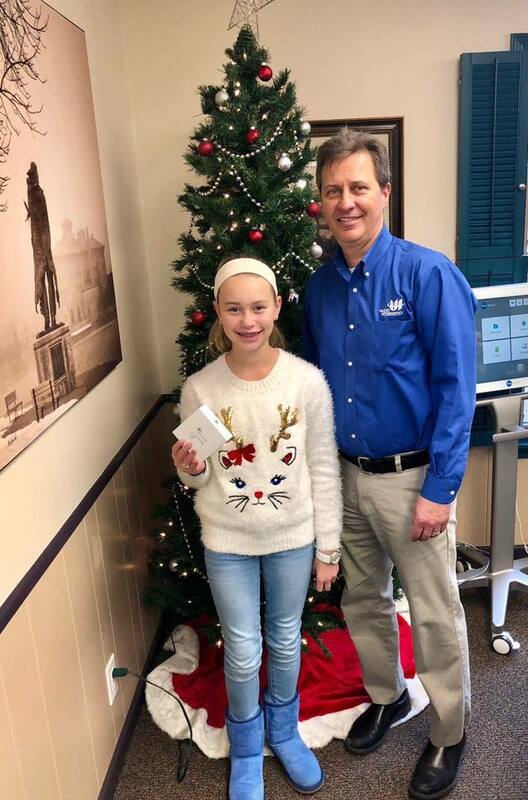 Winner of the holiday contest in our Batavia office! He dropped by and got his Apple AirPods! The winner from our St Charles location has been notified. Stay tuned to find out who it is!! Congratulations, Thor!! Hope your holiday was Merry! Congratulations and thank you to the Kelly family! 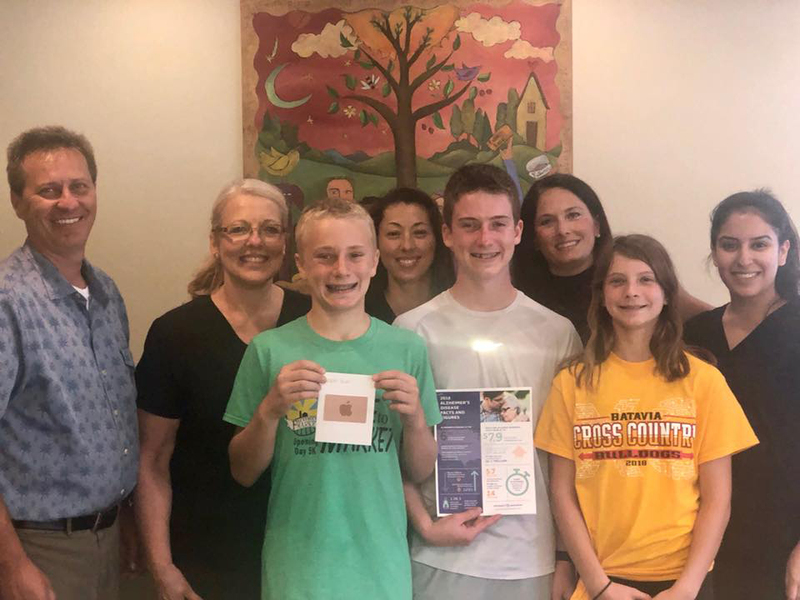 Winners of our 2018 summer referral contest... “Give & Get”, which includes a $500.00 Apple gift card! 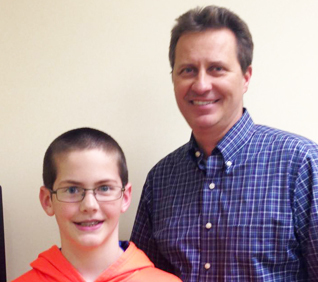 In addition, Wazio Orthodontics will donate $500.00 to the charity of their choice! The Kelly’s have thoughtfully chosen the Alzheimer Association. Alzheimer’s is the most common form of dementia, 50 million people worldwide are currently living with this devastating disease. The Alzheimer Association seeks to eliminate this illness through research and enhanced care and support for all affected. Our office is proud to couple with this wonderful family to assist this great cause! And thank you again to the Kelly’s for referring their friends and neighbors, we truly appreciate the confidence and support! Have fun at the Apple Store!!! 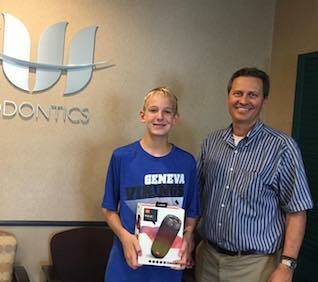 Spencer is now the proud owner of a new JBL Pulse 2! 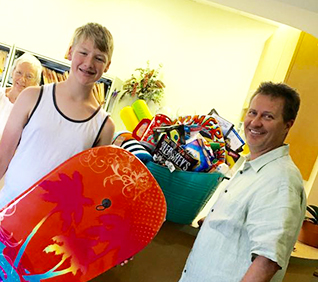 He won our summer Review Contest! Congrats Spencer! One of Lady Gaga's biggest fans will be in the audience on August 25th to watch her perform at Wrigley Field! 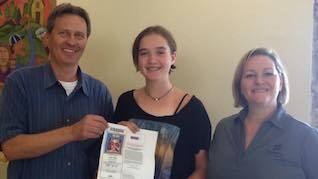 Molly won our summer Referral Contest! Congratulations Molly! Have a great time! Hey everyone, meet Jackson! He is the winner of our Facebook Contest for the month of March. 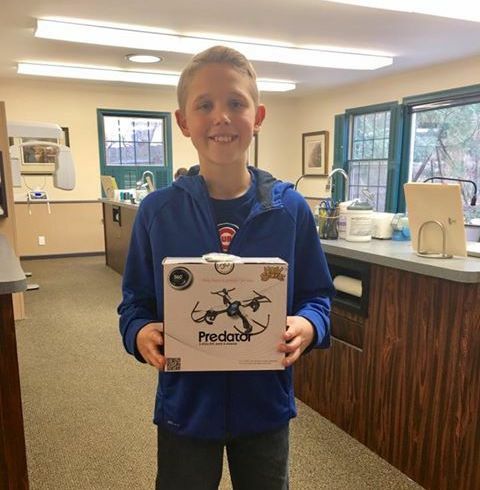 He was all smiles yesterday as he claimed his new Predator Drone! Congrats Jackson! And the winner is... Kelly D! 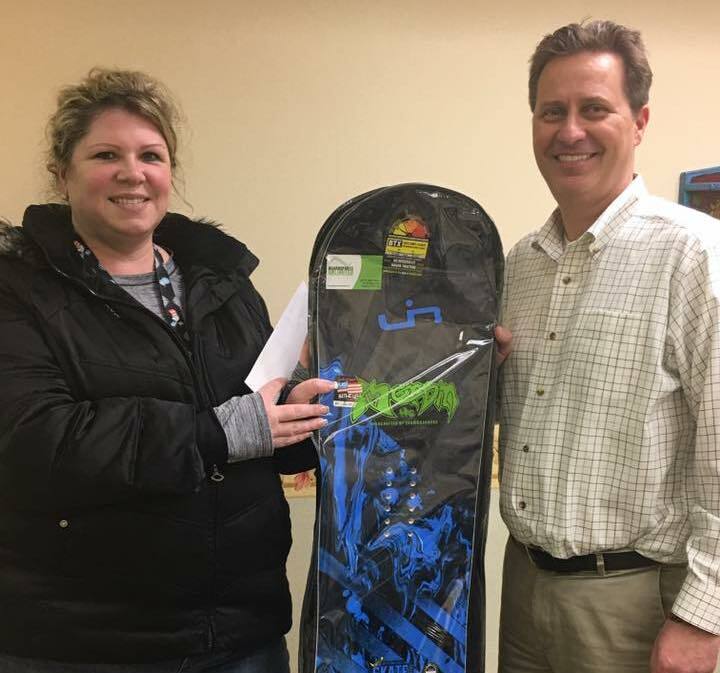 Congratulations Kelly, you are now the proud owner of a brand new Banana Skate snowboard! Have fun and be sure to land on both feet! And thank you to all who participated in our "Shred the Gnar" contest! Congrats once again Teagan and Katie! 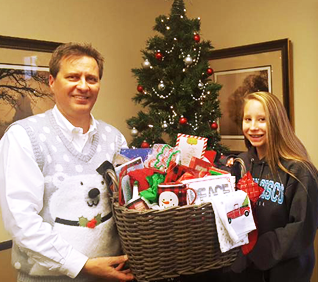 Winners of our Holiday Traditions contest! 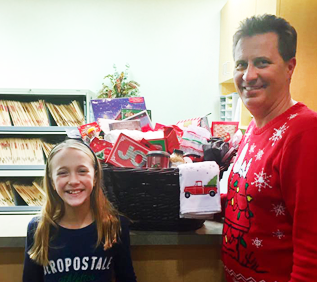 Congrats to Alex from our Batavia office for winning the Christmas Candy contest! And congrats to Aubrina, our winner from the St. Charles location! Enjoy the chocolates, hope you have fun with your gift card, and happy holidays!! 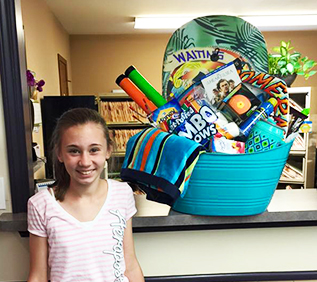 Winners of our Summer Bucket of Fun contest! Hope you love all those summertime goodies! Enjoy!! 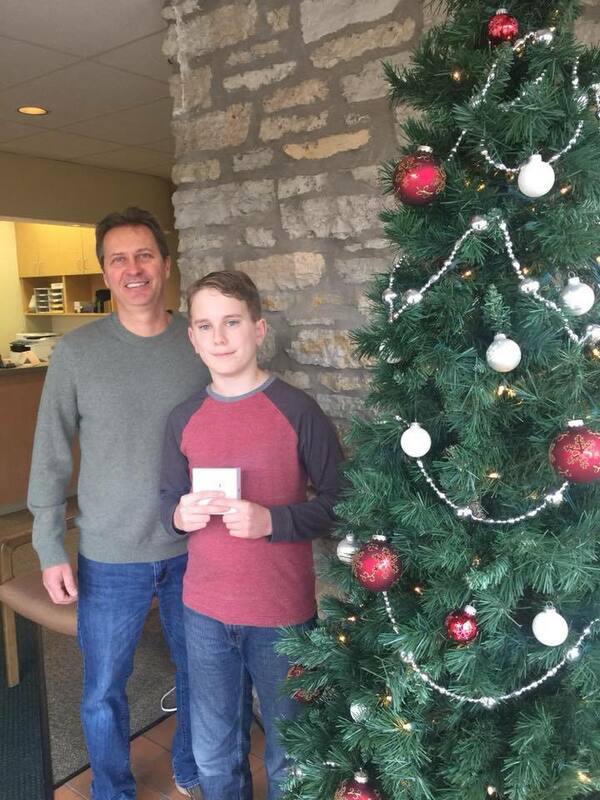 Winner of our referral contest! 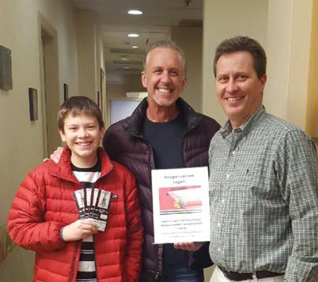 Logan and his dad stopped by to pick up their 4 tickets to see the Chicago Blackhawks take on the Montreal Canadians at the United Center, January 17th! Thank you for your referrals and have a great time at the game! GO HAWKS!! Winner of our Christmas Pom Pom contest! He received a Fitbit Charge Activity Tracker. They are our winners of our Great Pumpkin contest! Both received a $25.00 gift card! Congratulations! 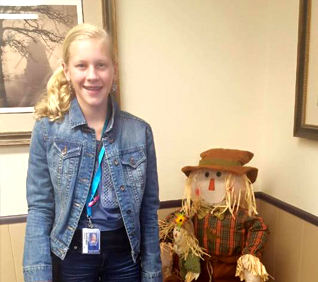 Congratulations to our Falling Leaves contest winners! We hope everyone had a wonderful Thanksgiving! 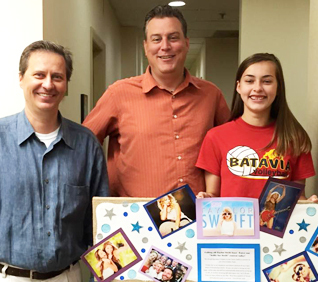 She won Taylor Swift tickets in our "Selfie for Swift" contest! 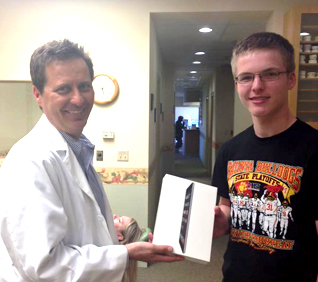 He won an iPad in our 2nd Quarter Referral Contest! 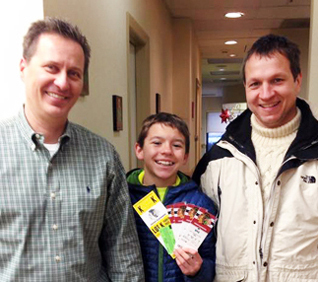 He won Chicago Blackhawk tickets in our 1st Quarter Referral Contest!